Hidden Treasure is a new series where we look at some items that may have been written off as past their best, but that may deserve consideration before making a purchase of a new item to do a task in the studio. 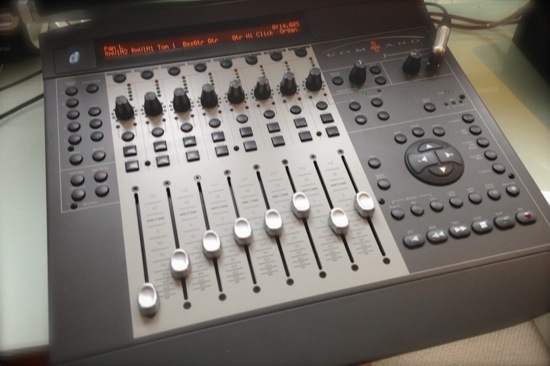 The first piece of hidden treasure is the Digidesign Command 8, shown by Digidesign at the 119th AES in 2005, so nearly 10 years old, but there’s a still a lot going for the Command 8 a decade later. When Pro Tools 11 was announced some Pro Tools users were left confused by what hardware would and would not work with Pro Tools 11, the Command 8 fell into the ‘Not Officially Supported (Untested)’ and so some rumours started to circulate that effectively wrote this unit off. So that’s a physical control surface with moving faders, a Pro Tools transport, a monitoring controller (with MONO button), full physical control of plug-ins and instruments, as well as a MIDI interface for around $300. That’s a lot of bang for the buck and well worth considering if you want a physical control surface. It may not be the newest controller out there, but it still has a lot to offer nearly a decade after it was launched. Have you got a Command 8, what do you think of it? Do you have suggestions for gear to feature in future Hidden Treasure post? If so then let us know.